SAN DIEGO & HOUSTON--(BUSINESS WIRE)--EDF Renewables North America and Shell New Energies US LLC (Shell) announced today that they have formed a 50/50 joint venture, Atlantic Shores Offshore Wind, LLC to co-develop OCS-0499 lease area within the New Jersey Wind Energy Area (WEA). The lease area holds the potential to produce approximately 2,500 megawatts (MW) of offshore wind energy – enough to power close to one million homes. This transaction is subject to regulatory approvals. Construction is subject to positive final investment decision. The lease comprises 183,353 acres about eight miles off the coast of Atlantic City on the U.S. Outer Continental Shelf (OCS). The area offers strong and steady wind resources in relatively shallow water, close to large population centers with associated electricity demand. EDF Renewables already has 2,800 MW of offshore wind in development or operation in Europe (Belgium, France, Germany and United Kingdom), placing the company in a position to efficiently transform the U.S. offshore wind sector, beginning in New Jersey. Shell first entered the onshore wind business in the U.S. in 2001. 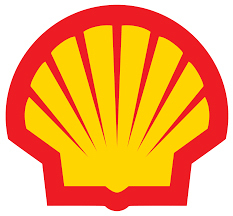 Shell has operated offshore assets for decades, has a strong supply-chain network and is one of the largest power wholesalers in North America. These strengths allow Shell to continue to grow its position in renewable power to support the company’s renewable power goals. Today Shell has interests in five operational onshore wind power projects in North America and one operational offshore wind farm in Europe. Shell is also part of a consortium that will build and operate the Borssele 3&4 wind farms in Europe. Atlantic Shores Offshore Wind, LLC will begin working to complete a site assessment plan and initiate formal development efforts on the site, and subject to a positive final investment decision, could bring the wind farm into operation by the mid-2020s. EDF Renewables North America is a market leading independent power producer and service provider with over 30 years of expertise in renewable energy. The Company delivers grid-scale power: wind (onshore and offshore), solar photovoltaic, and storage projects; distributed solutions: solar, solar+storage, EV charging and energy management; and asset optimization: technical, operational, and commercial skills to maximize performance of generating projects. EDF Renewables’ North American portfolio consists of 10 GW of developed projects and 10 GW under service contracts. EDF Renewables North America is a subsidiary of EDF Renewables, the dedicated renewable energy affiliate of the EDF Group. For more information visit: www.edf-re.com. EDF Renewables is a leading international player in renewable energies, with gross installed capacity of 14.2 GW worldwide. Its development is mainly focused on wind and solar photovoltaic power but also in other areas of the renewable energies industry such as distributed energy and energy storage. EDF Renewables operates mostly in Europe and North America but is continuing to grow by moving into promising emerging regions such as Brazil, China, India, South Africa and the Gulf. The Company has strong positions in offshore wind power, totaling almost 2,800 MW including three projects along the French coastline with 1,500 MW in total capacity, and a 450 MW offshore wind project in the UK. EDF Renewables operates more than 800 MW of offshore wind capacity with three projects: C-Power (325 MW) in Belgium, Teesside (62 MW) and Blyth (41.5 MW) in the UK, and the operations and maintenance of 400 MW of offshore wind capacity with the recent acquisition of a company specialized in this activity based out of Germany. EDF Renewables develops, builds, operates and maintains renewable energies projects, both for itself and for third parties. Most of its international subsidiaries bear the EDF Renewables brand. EDF Renewables is the EDF Group subsidiary specialising in developing solar and wind power. For more information, visit: www.edf-renewables.com. Follow us on LinkedIn: https://www.linkedin.com/company/edf-renewables and on Twitter (@EDF_RE in French and @EDF_Renewables in English). Shell aims to make electricity a significant part of its business, from generating it to buying, selling and supplying electricity directly to customers. Our New Energies business is seeking to leverage the company’s strengths in fast-growing and commercial parts of the energy industry, such as offshore wind in the U.S. Shell first entered the onshore wind business in the U.S. in 2001. Today, we have interests in five onshore wind power projects in North America and one offshore wind farm in Europe. In total, our share of the energy capacity from these projects is more than 400 megawatts (MW). Shell also has a 20% interest in the Blauwwind consortium that will build and operate the Borssele 3 and 4 wind farms off the Dutch coast. The wind farms are designed to have a total installed capacity of 731.5MW, enough to power around 825,000 Dutch households. Shell is a 50% shareholder in Mayflower Wind Energy LLC who is the provisional winner of block 0521 in Massachusetts, USA. Once constructed, the lease area in Massachusetts could accommodate a total generation capacity of approximately 1.6 gigawatts (GW), enough to power more than 680,000 homes with clean electricity each year.